The Bunny Bungalow: A Giveaway! The Bunny Bungalow Blog is one year old. I've had a year of loving your blogs and learning so much from you. You all are great blog pals and you have so enriched my life. So, let's celebrate! To celebrate, I'm having a giveaway, which will run from Tuesday 4/28/09, 5AM (CST) until Tuesday 5/4/09, 7PM (CST) at which time I will pick two winners by drawing names from the entries. To have a chance at winning, write a comment on this post, and if you have a blog, and if you are so inclined, you might mention this giveaway. There will be a drawing to select two winners of the two (2) prizes. Each prize is a set of eight small, porcelain bunny spoons from the Houston Sur la Table. We use our bunny spoons to stir our tea or coffee. If you win, you could use yours to eat your lavender crème brulée. I will post the names of the two winners on this blog on 5/5/09. Please check back to see if you won. Good Luck! Thank you so much for visiting my blog. Note: The giveaway has ended. Thanks to all who joined in. Annie, thanks for our visit to hill country house. I am intrigued by a "tiny Texas bungalow". I will be following you , not only as a fellow blogger, but to see what else you share about life in Texas. And, I will post about you today on my blog!! Congratulations, Annie! Please sign me up for your drawing. You know I can't resist anything BUNNY! And these are adorable! What fun!!! Congratulations on your 1-year bloggerversary! What a perfect give away. Mine is coming up next month along with my 200th post... I hope I'll find something as appropriate and cute! Hello!! Dixie let me know about your wonderful blog--- she KNEW I would love you because we both have a thing about "bunnies"!! :) My one year anniversary is right at this time, too, so I'm guessing I need to celebrate it!! Time has just flow by! I love your giveaway items!! Please toss my name in the hat for a chance to win them. I am so excited that Dixie shared your link with me---I will be a frequent visitor!! Also, may I use your photo of the sweet bunny stirrers on my blog when I mention your giveaway? Thanks for the sweet words! And of course you can use the photo. Oh, the toddlers in my Montessori classroom would so love to stir tiny cups of tea with those beautiful little spoons. Sign me up! Happy First Bloggerversary Annie girl. Most days the best part is when I log on to The Bunny Bungalow and see what wonderful thing you're writing about. Your pictures are so magical and your words at times poetic! Love the giveaway bunnies. Rock on Ms Annie. You've found your calling. Happy Blogiversary, Annie! You know I love your blog. Aidan would so love to eat her yogurt with these spoons, of course, I'd have to watch her like a hawk so she wouldn't break them! One year already!So glad to be following you!The other day you gave me sanity showing flowers,when my daughter decided to go to Acopulco.Thankyou! happy anni...annie! that's great...and a fun little giveaway to go with it. 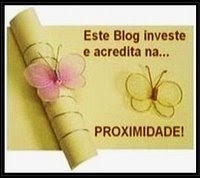 your blog and am enjoying it so much. I can be considered for your giveaway. collect bunnies and would love a set. I will be back often to visit. Happy Anniversary! What a gift you are to the blogging world. You have always been so supportive of my novice efforts at blogging. Happy Anniversary! 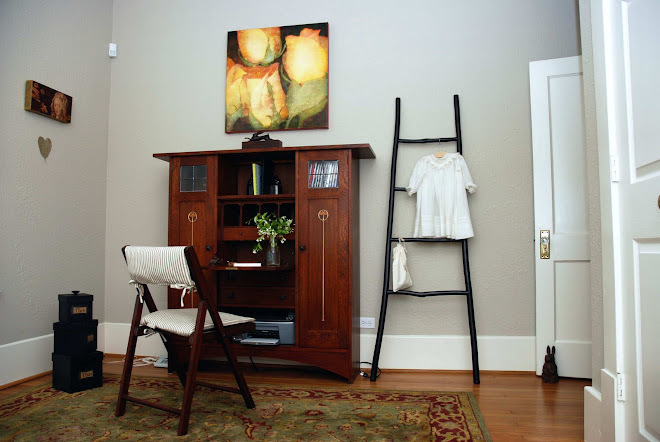 I just discovered your blog -Thanks Hill Country House!- and love your beautiful cottage. Please sign me up for your giveaway. These little bunny spoons are just to cute for words, and would really sweeten my morning cuppa. Hello Annie, First of all thanks for coming by my blog...so I could find my way to yours. I love the Bunny Bungalow, it looks like a warm and friendly home. Happy Birthday or Anniversary for 1 year blogging. Please add my name to your give away, the spoons are darling. Please come again. Can I have a bite of your carrot cake cupcake?! The spoons are beyond adorable. Happy Blog anniversary!! I've enjoyed all your very fun stories on how you and your husband were destined to meet. Here is to another fun filled year ahead. Happy birthday to you, happy birthday to you, happy birthday Bunny Bungalow....happy birthday to you! You do not have to be a blog author to have your name placed in the hat. 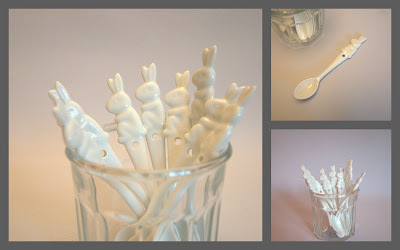 I have never heard of such wondrousness as porcelain bunny spoons IN MY LIFE! 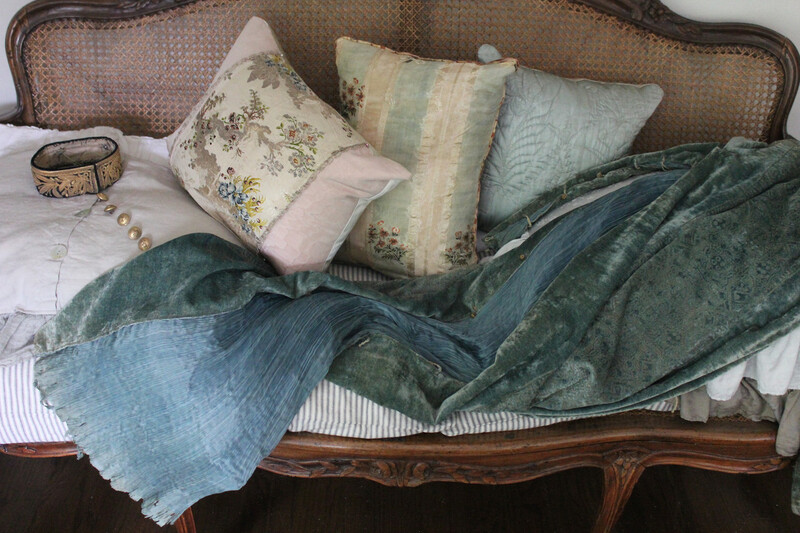 To eat creme brulee with, or lavender puddings, or to stir mint into ones iced tea. Happy Anniversary! I know it can be trying at times to post. I do love those bunny spoons. They would make an excellent addition to my collection! Ummm.....can I just have the carrot cake cupcake/muffin thingy instead of the bunny stirrers? Please?! I'm begging - there's nothing sweet to eat in this entire house and I'm simply dying! I may have to eat a pop tart *yuck*. Happy anniversary and sign me up! I also linked to your blog in my Sunday post. I doubt you'll get much more traffic, but I thought the adorable bunny stirrers worth mentioning! Happy Birthday Bunny Bungalow and to your Tall Husband!